After the success of Ugly Lovely in 2016, Ffion has teamed up with her funny friend, Rhys Bevan, to whip up a one-woman show about a topic close to her heart. The Wrong Ffion Jones is a comedic commentary on national identity, capitalism and an accidental rebel. 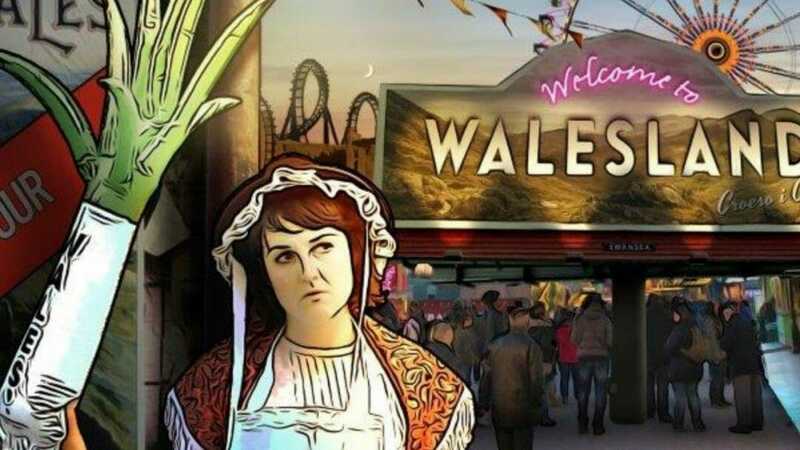 Ffion has a unique voice that enjoys blending real social issues with comedic absurdism. This play is set in a shamelessly silly future, painted and described with Ffion’s physicality and carefully crafted words but through use of projected images and sound we are also reminded of reality. Once famed for coal, copper and steel production, Wales’ industry has now ground to a halt. All that’s left to sell is ‘Welsh pride’ and even that is quickly drying up at the hands of business tycoons Bevan, Bevan, Bevan and co. Will Ffion sell her soul to be the next ‘face of Wales’ or will she summon the courage to revolt and listen to the strange trouser-less child that appears in her dreams? The Wrong Ffion Jones is at VAULT Festival 20th to 24th February 2018.